The Five Reasons Your Last Marketing Campaign Sucked Out Loud - And How You Can Make Sure Your Next One Totally Rocks! You've seen it happen, if not in your own practice, then in those of your peers: you drop a bunch of money into a marketing campaign, send out the collateral, follow up with phone calls, and wait. And nothing happens. Oh sure, you might net a couple of appointments, maybe even snag some repair work, but those coveted Cloud Services contracts elude your grasp. Likely, you made one of the five mistakes that will kill any marketing campaign, no matter how well-written the sales letters or how well designed the mailers. What are the "Big Five" marketing killers? And how can you avoid them in your next campaign? Join Karl Palachuk and Jerry Kennedy on the next episode of the Cloud Services Roundtable Podcast to find out! Last week Mike and I agreed on a new process for hiring people: We're going to collect resumes from service people we run into who do a great job. The woman we just hired works at the dry cleaners that I use. For more than five years she has greeted every client with a smile. She zips around totally in charge, appearing to do six things at once. She greets every single customer by name when they walk in the door. She has a great smile and a wonderful demeanor. That didn't get her the job. She called to verify the address yesterday. Then she drove to the office the night before to make sure she knew where it is. Then she showed up 20 minutes early for the appointment. She was sitting in her car when I pulled into the driveway. As we were waiting for Mike, I said I was going to make coffee. So I gave her a quick tour of Great Little Book and KPEnterprises on the way to the kitchen. As I tossed out the old coffee grounds from yesterday, I noted that the garbage needed to be emptied. I went down the hall to empty out the leftover coffee from the day before and rinse out the karafe. When I returned, she had scooped up the garbage, filled the bag with garbages from several workstations, and taken out the garbage to the dumpster. Resourceful. Willing to work. Eager. Believe it or not, that didn't get her the job. Mike arrived and we interviewed her. Mike didn't know what had just happened. When she left, he said "WOW. She's the leading candidate so far." Why? Because it didn't seem like an interview. It was like a conversation. This job involves a lot of dealings with clients, vendors, banks, state agencies, the landlord, etc. In other words: She needs to work well with people. On a technical level, she's not the most experienced in the things we need her to do. But she's sharp and trainable. On a personal level, she will be a great member of the team. She's got a huge smile and a great attitude. Our band of whackos will do well with her at the helm. The "interview" was like bringing in a friend for a chat. Wish us luck. I hope she stays for at least six years. Looking back on the Five Best Decisions I've Made In My Business over the last fifteen years . . . The Five Best Decisions I've Made In My Business: #5: Zenith Infotech and RMM tools generally. The Five Best Decisions I've Made In My Business: #4: Autotask and PSA systems generally. The Five Best Decisions I've Made In My Business: #3: Aligning My Business With Microsoft. The Five Best Decisions I've Made In My Business: #2: Robin Robins and the Technology Marketing Toolkit. In the last post I mentioned that Decision #1 is clearly ahead of #2. And then I raved on and on about #2. What's #1? What is the best decision I've ever made in my SMB Consulting practice over the last fifteen years? Again, my role in the community is a little different from most people. 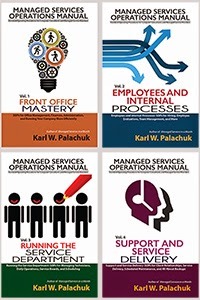 In addition to running an SMB Consulting practice, I write books, do some trainings, etc. I love being in and around this community. I love being on the stage and in the audience. And in the hallway. And occasionally in the bar! I LOVE this community. And in my opinion the entire SMB Consulting Community exists because of the efforts of Harry Brelsford. He was working to create groups and connections for at least five years before anyone heard of him. I own books he wrote so long ago he's probably forgot about them! - I literally give HarryB all of the credit for starting the SMB User Groups, for creating a way for them to connect with each other online (through Yahoo Groups), and creating a conference specifically for the SMB consultant (SMB Nation). Many people helped out. Hundreds. Thousands. They started groups, joined groups, engaged vendors, held events, organized meetings, spread the word, and so forth. But Harry was the catalyst and this community truly owes him its very existence. 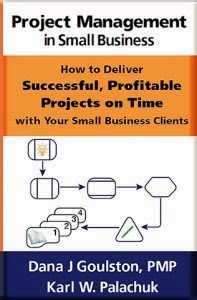 - The best book Harry ever wrote is SMB Consulting Best Practices - a great guide to SMB consulting, business in general, and the realities of surviving in this industry. All around a great book. My copy is COVERED with notes. I still go back to this book from time to time. - SMB Nation. Duh. The A-Number One conference for the SMB space. I suspect that this conference, its growth and success, have played a major role in helping Microsoft, HP, and many other vendors understand the power and financial impact of the SMB consulting community. SMB Nation is an amazing resource for consultants who want to learn more about their own business, get new ideas, find out about products, and generally step up to the next level in their business. It is the big gathering place every year for "everyone" in the SMB space. In addition, it is by far the biggest gathering of vendors focused squarely on the SMB space. SMB Nation is the watering hole for our industry. It is our Mecca. And while you might not make it every year, you need to attend as often as possible. The SMB Nation fall conference is my annual pilgrimage to see what my company's future looks like. For years we have taken multiple people. This year I think there will be three of us. - SMB Nation Publishing. I don't know if there's a more formal name for it. But over the years, I have been blessed to be involved with Harry on the "publishing" side, which is really the content-creation side. When I published my first book - The Network Documentation Workbook - Harry agreed to distribute it. That led to many sales. It led to my first appearance at the Microsoft Worldwide Partner Conference. It led to an SMB Nation pre-day event, which led to all other pre-day events. Then I wrote a book for Harry for a special project (The SAN Primer for SMB. And that led to a little tour. And that led to teaching Microsoft Hands-On Labs for the SBSC training program. In The Big Picture, every business transaction I've had with Harry Brelsford has been good. Most have been profitable. Harry is extremely honest and fast-moving. So he's sometimes hard to catch up with. But we've always treated each other fairly. We've visited each other's houses, met each other's families, and connected across several continents. I've done sub-contract work for Harry in several other countries. Not with a long contract. But with a phone call and a verbal agreement. We make things work because we "click" on the business side and we trust each other. Perhaps the best thing about my ongoing relationship with Harry and SMB Nation is that I know we'll do more fun things together in the future. I know I'll see him in Seattle, Las Vegas, New York, London, Amsterdam, Prague, Atlanta, and many other places. I don't think I could have planned all the great adventures and successes I've had with Harry Brelsford, but I'm sure glad I had them. In the big picture, Harry Brelsford and SMB Nation have improved my business directly through education and opportunities; they've improved my business indirectly by creating a much more professional atmosphere for the SMB Consultant, and being a driving force in the professionalization of our industry; and they've improved my business personally by my association and friendship with Harry. There are many great people in this community we call the SMB Space. Hundreds. Thousands of great people. And I love travelling, meeting people, and sharing ideas (and beer). But number one on that list for me will always be Harry Brelsford. When I look back on the handful of people who have most profoundly affected my life, Harry Brelsford will be on that list. Now for the second best decision I've made. Second, my relationship here is probably different from most folks in the I.T. business. But, as you'll see, the image of Robin is not the real Robin. I first met Robin at the Third-Ever SMB Nation Fall conference in Redmond, WA. She gave a presentation and then proceeded to sell her Technology Marketing Toolkit from the back of the room. I hemmed and hawed and wasn't sure if it was a good idea. Then I looked up and saw a line of 70 consultants lined up to hand over their money. And I concluded This woman has something to teach me about sales. So I bought. Then I signed up for the monthly program. I am SOOOOOO glad I did that. I think it's been five years of call-ins, audio CDs, newsletters, ideas, inspiration, and great stuff. When Robin started her Managed Services Program I was in on the Beta. I have been in that ever since. Great stuff. GREAT stuff. You want step-by-step information? This is it. I recently helped her kick off the latest version of that as well. So . . . you can see that I'm a raving fan. Why? In this case, it's 60% bottom line and 40% inspirational. The bottom line part is that we make money with Robin's strategies and we save money with Robin's excellent information. The inspirational part is surprising to people who have never looked closely at what Robin does. I've said it before, but I believe Robin mis-markets herself as a marketing specialist. She is an amazing coach. She is extremely inspirational. She brings massive amounts of great information and new opportunities to her membership every month. She holds contests to see which of her members can make the most money - and she gives them prizes when they succeed. YES Robin provides amazing and great marketing materials that are totally focused on our niche - SMB Consulting and managed services. But she also provides very practical advice, great new opportunities, and much more. It is almost laughable after so many years when someone says "Oh my clients wouldn't go for that" or "I don't want my company to look like that" regarding Robins' materials. Thousands of companies have now made many, many millions of dollars using Robin's materials. They just work (if you do the work). There is no debate. Questioning whether Robin Robins' approach works is like questioning whether the Internet is a fad. The jury has been in on this for years. In fact, the jury packed up, went home and is getting on with their lives. "The look" of Robin's campaigns is a classic sales look that just plain works every day. But it's critically important that you get beyond the basic marketing materials. Robin Robins is about so much more! The Technology Marketing Toolkit is an amazing resource that you will get great value out of - even if you only use a small percentage of it. But more important than that is the constant encouragement, examples (good and bad), analysis, education, and inspiration you get. A couple years ago I was raving about Robin and the Technology Marketing Toolkit to some folks and a well-place Microsoft manager was listening. He said "Man, I wish I could get someone to talk about the Microsoft programs with that kind of passion." See my last post in this series. I'm a huge fan of Microsoft. But as I told him, Robin Robins has made my company more money than Microsoft has. My Microsoft relationship takes an indirect route to improving my bottom line. My Robin Robins relationship takes a very direct route to improving my top line revenue and therefore a pretty direct route to improving the bottom line. Okay, let's be honest. Robin is way cuter than Yoda. But she plays the role of Jedi Master of Marketing to the consulting community. There are a few people in and around our community who have raving fans and detractors. Robin is one of these. You cannot go to an event with more than 100 people and avoid the conversation of . . .
- "Blah blah . . . Robin Robins"
- "Who is Robin Robins?" - "Oh my Gawd. She's the greatest . . . " etc. - "My clients would never go for that kind of thing . . ."
- "You HAVE to try it . . ."
On and on. This conversation has taken place 1,000 times that I am personally aware of since the day I asked "Who is Robin Robins?" Now I realize that I play a slightly different role than many people in our community. But the raving Robin fans all seem to have several things in common. We focus a fair amount on the training, motivation, and marketing side of our business. We have decided that being a great technician won't get us where we need to go. We can hire great technicians. And we want to make more money. Robin's program costs money. It costs serious money. But how many new clients do you have to get to pay for it? One. One new client and you are WAY ahead for the money. In fact, depending on what you sell, you might need 1/4 of a client. Or you might need to sell one extra item to each of your existing clients. And after that you'll have this amazing resource available forever. But the reason Robin Robins rises above all of these is that my relationship with Robin has affected ME personally and professionally. I am forever a better person because of the training, inspiration, and motivation from Robin Robins. She has profoundly affected my success over the years. And no matter what business I'm in, I will have these skills and attitudes to take with me. Robin Robins is a great marketer. She's a better coach. Her programs dramatically improved my business and continue to provide me and my staff with inspiration and ideas as well as great tools. As with Autotask, Zenith Infotech, and Microsoft, we make money and save money because of the Technology Marketing Toolkit. I have other coaches. Josh Peterson from Taylor Business Group is an amazing person and a super business coach. Jenifer Landers is my super-great life coach. I have a local mastermind group filled with inspiring geniuses. But Robin plays a special role for marketing and motivation. I'm grateful that I stumbled onto her materials when I had a mind open to trying new things. The third edition of MSPmentor.net's MSPmentor 250 list is out. Actually, it will be trickling out on a schedule. But the big news is out: For the third year in a row I somehow managed to make the list. I am particularly proud this year because there are a lot more people who are working in managed services than there were last year or the year before. Okay, so what is the MSPmentor 250? Well, first, the MSPmentor site and blog are a GREAT resource for anyone interested in following what's going on the world of Managed Services. Check out http://www.mspmentor.net/. My friend Joe Panettieri has put together news, resources, and a lot more. In order to be considered for the MSPmentor 250, members had to be nominated during our survey — which ran from May through July 23, 2010. We narrowed down the list based on specific achievements (“Jane Doe increased her company’s recurring revenue by 50 percent”) rather than feel-good statements (“John Doe is a smart industry leader”). Anyway . . . the list has 250 names, so it's a little hard to analyze or process all at once. You can download the complete list at The MSPmentor Resource Center. You’ll find the complete report — including executive bios and individual claims to fame. Registration is required but they are very well behaved and don't spam you. As this week rolls on, MSPmentor is releasing various information on the MSPmentor 250 members. You’ll find HTML links to the MSPmentor 250 members. Also coming tomorrow (Aug. 20): MSPmentor 250 list members sorted in new ways, including by company name, area of specialty, region and so forth. And as long as you're there, poke around and look at all the other good things you find there. Now for the third best decision I've made. This one is sometimes a mixed bag. Some days I think it's good and some days bad. But overall, according to my criteria, it has been a great decision . . .
For a little extra perspective here, see my article from two years ago on Grading the Microsoft Relationship. Not much has really changed in that time. But what you'll see there is that the relationship is complicated. As are all good relationships. After all, I don't have any relationship at all with APC, Symantec, Watchguard, and many other vendors. I buy their stuff. I sell their stuff. But there is no relationship there. I started my computing adventures on Commodores (Vic 20 and C64). That led me to Basic programming, and therefore to CP/M. At the University of Michigan I learned both DOS, MacIntosh, and their UM mainframe system at the same time. Clearly, CP/M is the superior operating system from among all these, but it didn't win the day. By the late 1980's Microsoft dominated every technology I actually touched and used every day. I went on to learn additional languages and operating systems, including HP MPE/MPEx for the HP 3000, HP-UX, and a variety of Unix flavors. And obviously I supported Windows 3.1 when it came out. But Windows NT changed everything. With NT I moved from my past life into the life of a technical consultant. My first certification was on Windows 3.1 (not 3.11, not windows for workgroups). After I got that little badge I worked hard to keep up on certifications. Eventually I got my MCSE. Now, of course, that designation is only technically relevant since the entire certification process has been in a food blender for a few years. When I founded KPEnterprises in 1995, it was a no-brainer to align with Microsoft. They were obviously on every desktop in America. And more and more they were growing to take over the back office as well. Once I engaged with Microsoft, I started connecting more, and more, and more. The alignment allowed me to educate myself, and eventually my staff. There was a time when the certifications meant something and we pushed those pretty strongly. As we engaged in marketing programs, we grew our company. Eventually, I got to know human beings within Microsoft and continued to make more connections. At times the Microsoft relationship is really frustrating. It's a big, massive company where one office doesn't talk to another. No one gets the big picture. Goals are tied to dates and numbers. So, like any large organization, if good ideas and common sense don't get attached to someone's metrics, then they just don't happen. In other words, the core things we do with Microsoft all contribute to our bottom line. The greatest thing Microsoft has done in the last five years is the SBSC program (Small Business Specialist Community). This program led to a huge engagement with the broader consulting community and turned a lot of "fans" into raving fans, engaged at a new level, and eager to take on a level of professionalism that didn't exist before. The SBS Team is, interestingly enough, very aloof from the consultants who know, love, sell, and support the product. I know most of the members of this team and I've been on a recently-concluded advisory panel for the next generation of SBS. The team is very focused on the product and they have come up with some truly amazing stuff. The SBSC team is a little different. I've also met most of them and sat on the SBSC advisory panel. They are totally focused on communication and engagement with the consulting community. This division of labor makes perfect sense once you see the big picture. This should be a separate blog post, but Microsoft's dominance in the I.T. consulting community is fading. It can't be blamed on Unix/Linux. I used several flavors of Unix before Windows existed. It can't be blamed on Google or cloud computing. Microsoft does apps. Microsoft built a cloud system at the same time as Google and Amazon. Microsoft's dominance is fading because they're slowly losing touch. Maybe they're too big. Maybe Steve Ballmer needs to go do something he's good at. Maybe they're getting old. Maybe they've lost focus. But I have heard more than one person tell me that they are not going to renew their Microsoft Certifications personally or renew their Certified Partner membership. They don't see the value. They don't feel like they need to engage Microsoft any more than they do APC, Symantec, or Watchguard. In our own company we have installed Linux servers, sold Amazon Web Services, sold alternative email services, and examined other non-Microsoft alternatives. We're still raving fans, but we need to always focus on what's best for our clients. And Microsoft always has the first opportunity to be the choice. But recently they haven't been winning 100% of the time. Again, it's a relationship. Relationships sometimes come and go. You're closer for awhile and then it fades a bit. Then you re-engage and get closer again. Ebbs and flows. Microsoft has been one of the key partners for our company over the last fifteen years (ten as a Certified Partner). And we certainly have other vendors with whom we have close relations (e.g., Diskeeper, SonicWall), but Microsoft is Partner Number One for us. We are committed to making this relationship work. And that's why we continue to engage them at many levels. Oh, and we make money with them. Microsoft is far more than a "vendor" supplying product. They are a strategic partner for our company. We make money in many different ways with Microsoft, including saving money by using their online resources. If we had to choose a partner today, Microsoft would still be #1 on the list of companies to partner with. The training and other resources have had a profound effect on how we operate. By now you should have heard of the Intel Hybrid Cloud server and the related pilot program for I.T. Consultants. If not, check out the first webinar we did over at Cloud Services Roundtable. We have just scheduled another special webinar with Intel to walk through their Pilot Program and to do a click-by-click demo of their cloud server. You'll see how servers and software is deployed and licensed. Plus a lot more. Okay: What Is the Intel Hybrid Cloud Server? Intel recently kicked off a pilot program for their new Intel® Hybrid Cloud, a new and innovative subscription-based model enabling MSPs to offer locally hosted server software on a pay-as-you-go basis. This is a great solution for people who need SBS or "regular" Server 2008. And the catalog of add-ins will allow you to literally drag and drop the deployment of other solutions (like a firewall or backup) -- all on a subscription basis. This is the second special webinar with Josh Hilliker and Chris Graham from Intel. I've been pondering some of the decisions I've made over the years and considering whether I'd make those same decisions again. Some decisions are very high on the list. Indisputably, these are decisions I would not change if I revisited them. Now, I could list ten great decisions, 15 great decisions, or maybe even 25. I did list more. But there really is a clear top five. So I'll look at each of those. What makes a "top five" decision? First, it has an impact on many areas of my business/success. It's not like picking the right paint color. But it's a broad-reaching decision that affects the business for years! Second, the decision has a clear positive impact on profit. Not necessarily revenue, but profit. That profit might come from additional sales, efficiencies in the system, new opportunities, increased knowledge, or any number of things. Third, the decision resulted in dramatic changes to the way I run my business. This is related to the first item above, but is more specific. The decision resulted in changes to my business that I would also not want to reverse. And when I consider whether I wish to continue down a certain path, I need to keep in mind what got me here. Note that these are decisions only. At some point I will do the same for actions, processes, and procedures that I've adopted. For now, these are just major positive business decisions. I'll start the countdown with #5 and proceed from there to #1. Note, however, that the exact order is not very exact at all. In fact, it is subject to change as the months and years roll on. But today this is the order. I guess it was five or six years ago that I signed up for Kaseya. I had looked at a few alternatives. But at the time, Kaseya was the most robust. In addition to patch management, it had amazing scripting. Prior to this point, I had done a "roll your own" RMM (remote monitoring and management) offering with the tools built into Small Business Server and the Windows desktop O.S. RMM changed my business forever because it allowed me to manage a huge number of machines at the same time. It allowed me to expand my offering to more clients with only a relatively small increase in marginal cost per client. In other words, it allowed me to take on more clients without dramatic increases in staff. After awhile I added Zenith to the mix because they had a support component that Kaseya lacked. Now, if something went wrong with a server I could just assign the job to Zenith and not worry about it. I used both Kaseya and Zenith on all servers for more than a year before I decided to make the switch to 100% Zenith Infotech. It was critical to me that I know that all "issues" were caught by the RMM tool. So I didn't make the switch until I had verified that Zenith caught every single issue that Kaseya caught for a full year. Once I had that confidence, I was willing to drop Kaseya and go 100% with Zenith. But I hope you read between the lines and see how completely I was relying on Kaseya at this point. I was very reluctant to make the change because Kaseya had worked so well. Zenith has been an excellent choice for us. For several years now we have only used Zenith on all desktops and servers. I cannot imagine being in tech support today without Zenith Infotech. Because we have been able to turn over major issues to Zenith, they have made us more profitable by handling more and more issues remotely - and without hiring more staff. For some problems, Zenith is able to handle things so efficiently that we never take on those jobs in-house any more. For example, when there's a blue screen issue with a client's server, we assign the ticket to Zenith right away. They have teams of people who deal with blue screens all day. We get two a year. So they are clearly more experienced than we are at analyzing blue screens/memory dumps. Three years ago I wrote about how horrible the tech support from Microsoft had become (see This Blog Post). At that time, we stopped calling Microsoft for tech support. Now we call Zenith Infotech. How did Zenith change my business? Well, we use it every day. Every technician and every client touches it. It has to interact with our PSA system. We consider Zenith to be part of our team. Thanks to them we could take on several more clients than we have today without having to hire another technician. Kaseya helped us move to the world of RMM. Zenith helped us reach "the next level" of RMM. I have a slightly different approach from most people about project management in the SMB space. If you haven't seen my Super-Good Project Planner for Technical Consultants, you might want to check that out. Basically, I prefer to use a ticketing system to manage small projects rather than big packages like Microsoft Project. So Len from Autotask asked me to put together a presentation on how to manage projects in Autotask using the Ticketing module. I presented this information twice at the Autotask Community Live event in Miami a few months ago. (I'm happy to say, standing room only at both shows.) So now Autotask is having me present this material as a live webinar for folks who couldn't make it to Miami. The webinar will kick off with Len DiCostanzo, Autotask's Senior Vice President and Dean of the Autotask Academy. I'll talk about some of the most important elements of managing successful and profitable projects. Then I'm going to give a quick walk-through of how you can manage a real world project: a Small Business Server Migration in Autotask, using the ticketing module. I'll walk through everything from the quote, to the ticket creation, and then on to execution. In my opinion, there are VERY FEW projects in the SMB space that require more than a well executed plan and a great ticketing system. Join me and see if you agree. Where: Small Business Podcast site - Register now! I have a podcast scheduled with my friend Stuart Crawford from Calgary, Alberta on Thursday, August 5th. We're going to talk about the power of Work and Life balance. Stuart is a blogger and the author of several books, including a book on Goal Setting for IT Professionals. Stuart is a world-renowned speaker and mentor who shares his entrepreneurial spirit with a network of business people in a variety of industries. He is very involved in entrepreneur education, community education and volunteer work that facilitate the growth of start-up companies to companies undergoing a transition to facilitate long-term growth. You will also find Stuart at I.T. Professional events all over North America, including MSP University's Managed Services Boot Camps. On several occasions Stuart and I have presented materials on the "Relax Focus Succeed® philosophy and work/life balance. Please join us Thursday at 8 AM. One way to provide cloud services is to host them yourself. This might be as simple as a web server at your colocation facility, a backup solution you house for your clients, or something you build yourself. Whatever your offering, you need to make sure that you provide a professional, reliable system. John is the Operations Manager for a truly world class data center in Northern California. Join us to talk about the critical things you need to look for when selecting a data center. This is the data center where KPEnterprises houses our servers and some of our cloud-based offerings. Please join me on these webinars and podcasts. All of these events are free when you view live. Check out the "More Info" links and I'll see you online! This article appeared in my recent SMB Email and is reprinted here by request. Jerry (my sales guy) and I had an interesting chat the other day. We created a new product for our clients to buy. I wanted to start by offering it to an exclusive list of our top ten clients. After we worked out all the details, Jerry asked me if he could offer up the new service exclusively to our largest client and give them the opportunity to be the first to invest. My first reaction is that this is just greedy. Jerry explained otherwise: This client sees us as a true asset to their business and even though they give us more money than anyone else, they will appreciate the extra attention. NOTE: Jerry considers our offering to be something truly good for our clients. He views what we do as a true asset to them. So offering the largest client an opportunity to spend even more is another service we can provide to them! The lesson for me is pretty clear. We need to offer up products and services that our clients see as gifts for which they are grateful. We need to see them that way in order for our clients to see them that way. If you are having trouble with sales, consider this: Are you offering something the client sees as an expense or as something with a much more positive connotation? If you see BDR or cloud offerings as a great opportunity for you clients, then they'll feel that conviction and enthusiasm.